Ships Monday, April 22 if ordered in the next 1 day, 15 hours and 43 minutes! This unique combination of L'Arginine, L'Carnitine and CoQ-10 will work to improve health health, boost the immune system and will also stimulate the growth hormone, the most important anti-aging hormone in the body! This unique blend of Liquid L-Carnitine, CoEnzyme Q-10 and L-Arginine is a delicious way to promote the activity of free radical scavenging antioxidant vitamins, whilst helping to protect the heart and boost energy levels for an increased feeling of overall vitality. L-Arginine is an essential amino acid and is often considered the most potent of all the amino acids. L-arginine is considered the most potent Nutraceutical ever discovered, due to its powerful healing properties, and is referred to by scientists as the Miracle Molecule. The remarkable properties of L-arginine were validated by the 1998 Nobel Prize in Medicine, and since then have created a frenzy of interest in the Pharmaceutical and Nutraceutical fields. Medical researchers have gathered enough clinical evidence to bring L-arginine to the forefront of modern medicine as an accepted treatment for a variety of human ailments. The L-arginine phenomenon is changing standard treatment methodologies in heart disease, immune function, adiposity-generated diseases, genetic growth deficiencies, high blood pressure, sexual disfunction, and human aging. Columbia University refers to L-arginine as the "magic bullet" for the cardiovascular system. Over 10,000 L-arginine citations were complied by Columbia University researchers in their quest to document the clinical benefits of this simple amino acid. It is now taught to medical students at Columbia University College of Physicians and Surgeons. The Nobel Prize landmark discovery of the functions of Nitric Oxide (NO) elucidated the fact that without NO, human life would be impossible. Even more revolutionary was the irrefutable evidence that L-arginine is the body's chief source for creating Nitric Oxide. Twenty years ago, the idea that a simple and humble amino acid could change the face of medicine would have been dismissed. Now, physicians, researchers, and scientists are embracing the effectiveness of L-arginine and its use has become mainstream. The efficacy of L-arginine as a therapeutic agent has been validated by thousands of clinical studies. Some of the traditionally recognised benefits of the oral ingestion of L-Arginine are that it helps to enhance blood circulation through the body, improves immune function, maintains healthy blood pressure levels, maintains heart health and improves sperm production. L'Arginine is the precursor for the synthesis of Nitric Oxide (NO) and it stimulates the release of the most important anti-aging hormone in the body (ie. growth hormone). L'Arginine has also been shown to reduce the healing time of injuries (particularly bone), increase muscle mass and restore the GH levels in humans, thereby helping with obesity. Acetyl-L-Carnitine is a naturally occurring super antioxidant form of L-Carnitine that specifically benefits the brain and helps maintain a healthy heart. Some of the traditionally recognised benefits of L-Carnitine include helping to supply the brain with energy, improving mental performance, facilitating weight loss, and strengthening heart health. CoEnzyme Q-10 is an essential nutrient our bodies require. CoQ-10 is found in every cell of the human body. This essential enzyme helps the cell to produce it's energy. The structure of CoQ-10 is similar to that of Vitamin K. Some of the traditionally recognised benefits of CoEnzyme Q-10 include improving energy levels, maintaining healthy gums, strengthening the cardiovascular system, maintaining healthy blood pressure levels and reducing the outward signs of aging. 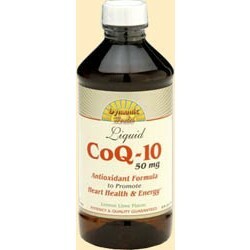 Studies have also shown that CoQ-10 can help to reduce allergic and inflammatory reactions. Stimulates growth hormone which is the most important anti-aging hormone in the body!